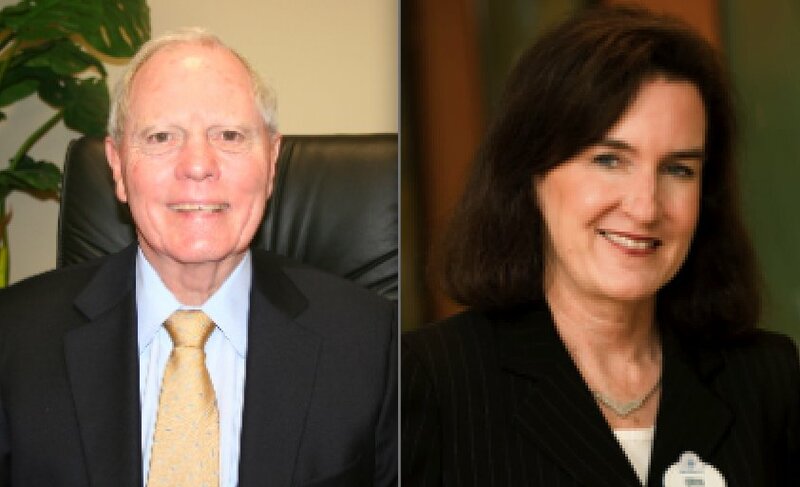 Gainesville: Andy Crawford III (BIE 1961) and Erin Wallace (BS ISE 1982) have both been selected as recipients of the University of Florida Distinguished Alumni Award. In order to be nominated for the award, nominees must have “excelled in his/her chosen field or must have performed outstanding service for the university,” according to the nomination process. Mr. Crawford has founded several waste disposal companies and is currently President and sole owner of CAVCO, an investment and holding company located in Jacksonville, Florida. Ms. Wallace has been with Walt Disney World Parks and Resorts for over 25 years, and is currently Executive Vice President of Operations Integration and Lines of Business at Disney Theme Parks and Resorts. She has been a member of the ISE Advisory Board since its inception. Both Crawford and Wallace are members of the Department’s Hall of Fame.